We value our patients' experience at Sumner Vision. 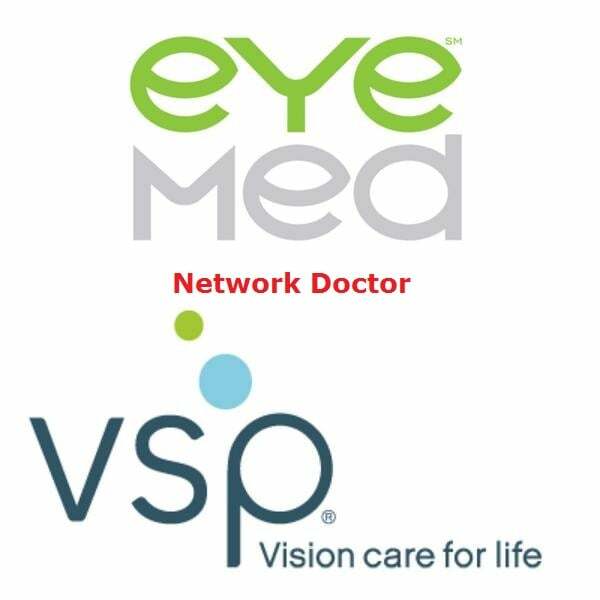 See for yourself, the great success our patients have experienced here at Sumner Vision. "We use Sumner Vision for all of our family’s vision needs. Recently, we had to have our youngest fitted for new glasses and he made the experience fun for her and informative for us. We know Sumner will always take good care of our family’s eye care and that’s why we wouldn’t go to anywhere else." "I was having headaches and felt my contacts were easily drying out all the time. I went in to see Sumner and after an evaluation, he suggested a switch in the type of lenses I use. Within a week of using the new lenses, I noticed a change and haven’t had any problems since. Thanks, Sumner!" "I had considered Lasik surgery in the past, but was still hesitant about the process. Sumner was very thorough in his consultation with me and answered all of my questions, making me feel comfortable with going forward with the procedure. I’m so glad I did the Lasik, it has been of great convenience to me and my sight has never been better." "I’ve been going to Sumner for over five years now and even though I only see him once a year for my annual exam, he and his staff always make me feel very welcome and take care of all my eye care needs. Sumner Vision is the best at what they do and make you feel right at home." " Sumner and his staff are so patient and friendly. Sumner prescribed me glasses and I had the toughest time picking out frames. They didn’t rush, but instead made helpful suggestions and now I have an awesome pair of frames, not to mention the fact that I can see ten times better than before. You guys are the best!" "Exceptional selection and price to go along with the personalized service Dr Sumner and Allen provide! I am sporting a stylish Italian made frame that is an excellent fit to Match my lifestyle! You will be highly satisfied visiting Dr Sumner's office!"" "This practice has the best customers service I have ever experienced at a doctors office. From the ladies at the front desk, the doctor and Allen with the optical desk I have never been treated with more attentive service. Everyone was so kind, it made me want to go to the eye doctor more than once a year! Their diverse choices of frames I had so many great options to choose from. I picked the cutest pair of Cosmopolitan frames, I can't wait to wear."" "Great office and staff. Had one of my dry eye "plugs" pop out at home. Was in a huge rush at the end of the day and these folks squeezed me in and got me up and running in a few minutes. Recommend them for sure. Also, nice selection of frames I checked out as I jetted out ... I'll be back to take a look and try some on! Thanks to you all there ... ""
"Great Location, great staff, great doctor! Beautiful updated office!! Allen will do anything he can to get you exactly what you need, just ask!"" "Dr. Sumner and Allen have done a great job with re-branding the practice since last year, and their hard work is really paying off. They have made vast improvements to the practice appearance, offer some of the best lens technologies that cannot be found in retail chains, and are very professional in their business. I look forward in visiting them again for any of my visual needs!"" "After going to Sumner Vision for the past 8 years, I have to say I'm very impressed with the recent changes to their optical. Their selection of glasses has really improved! Prada, Rayban, Oakley, Versace and other major brand names are now available. Dr Sumner is friendly and knowledgeable as is his staff. Alan is expert at helping select the right frame ensuring it fits and looks great."" "Patricia Blue Average Rating 10/10 then ADD just 1 Star!" "Fred Krebs Average Rating 10/10 then ADD just 1 Star!" "Mavis Tell Average Rating 10/10 then ADD just 1 Star!" "Max Lynch Average Rating 10/10 then ADD just 1 Star!" "Connie Higgins Average Rating 10/10 then ADD just 1 Star!" "Harrison McGuire Average Rating 10/10 then ADD just 1 Star!" "Esmeralda Molina Average Rating 10/10 then ADD just 1 Star!" "Erik Urquidy Average Rating 10/10 then ADD just 1 Star!" "Jane Carruthers Average Rating 10/10 then ADD just 1 Star!" "Dr Sumner is the best. I've been going here for 11 years now and I am always well taken care of. Dr Sumner has always worked with my budget and has always taken good care of me. I just got some amazing designer Tom Ford glasses there and I love them. The staff is excellent. I always feel special when i step in the door her." "Dr. Sumner is very thorough, takes the time to explain everything he is doing, will help you think outside of the box if need be, and has surrounded himself with a great staff (especially Al, who is extremely personable and affable; if you need glasses, he's your guy!)." "Dr. Sumner, his Optician and staff are all excellent providers! I love my new glasses and look forward to getting new contacts as well. I highly recommend Sumner Vision for all of your vision needs!" "Great selection. Very professional. Allen is extremely knowledgeable and great to work with!" "Very knowledgeable Staff plus they are a Tom Ford Eyewear authorized dealer. You will enjoy your experience with Dr Sumner and Allen." "I found the staff at Sumner to be knowledgeable, courteous and very helpful. There were so many nice frames to choose from and Alan had great patience and insight while guiding me to a selection. The whole experience with Sumner Vision was painless and a great success!" "A professional place for all your optical need, great selection and service! Highly recommend! Allen was very helpful and courteous!" "Great office! They have really added some very nice frames. Allen was very helpful and knowledgeable. Dr. Summer is very personable!" "I visited Sumner Vision today and was helped by Allen who was extremely helpful and friendly. My experience was wonderful and I highly recommend this place."